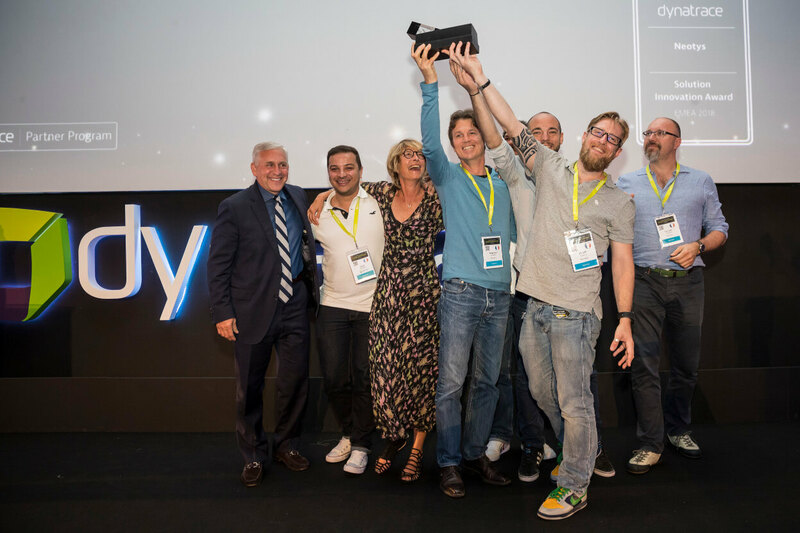 BARCELONA, SPAIN – May 25, 2018 – During Perform Europe in Barcelona this past week, Neotys was proud to receive the Solution Innovation Award from strategic technology partner Dynatrace for the successful integration of both our products. This is a cherished recognition for which Neotys is thankful as the two companies have been working hard together to make this integration as efficient as possible. “Dynatrace includes the artificial intelligence needed to detect the performance issues and their origin. The natural synergy between NeoLoad & Dynatrace is a logical association as Dynatrace receives data generated by NeoLoad during the test, enabling quick analysis of the problem,” explains Henrik Rexed, Partner Solution Evangelist at Neotys. Also, users benefit from other existing Dynatrace integrations – Jira, for example. “When a defect is identified, Dynatrace can automatically generate a Jira ticket including all pertinent performance details related to the issue. The time-savings, productivity, and efficiency are obvious,” adds Rexed.